Frankfurt's status as an economic center is partly thanks to its exhibition center, which has an 800-year history. Over the course of time, the Frankfurt exhibition centre has become more and more important. Today, it is one of the largest in the world. 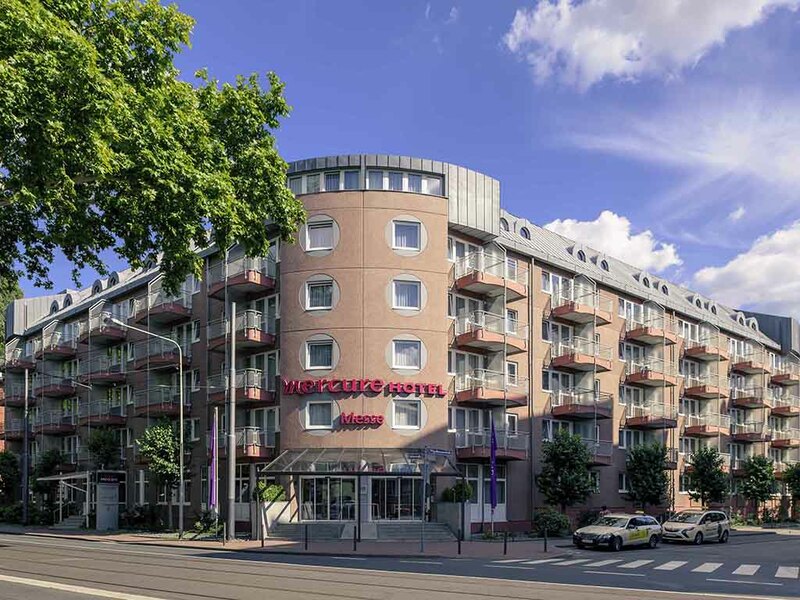 At the 4-star Mercure Hotel & Residenz Frankfurt Messe, you can choose from Standard, Superior and Privilege Rooms as well as Privilege Suites. Our 88 apartments with kitchenette are best suited for longer stays. Rooms are air conditioned and have a flat-screen TV plus free WIFI and ADSL access. Two children aged up to 16 can share your room free of charge. Your pet is also welcome for a charge of EUR 10 per night. Treat yourself to regional delicacies and international cuisine classics at our restaurant "twenty9," which has a cosmopolitan design. The connected garden lounge is a green oasis that is ideal for relaxing after work. It's all in the name: Sit, drink, eat and work just the way you like. After all, relaxation can yield fantastic results - inspiration for great ideas, great decisions and great conversation.